You’ve booked your plane tickets, reserved your hotel room, and packed your suitcase. Your power wheelchair battery is fully charged, you’ve done all the research on the accessibility of your destination, and you’re totally ready to board the plane and start your vacation! Until you arrive at the airline counter to check in, and the gate agent gives you terrible news–you can’t fly with your power chair because the batteries are not approved for air travel. Or you arrive at your (foreign) hotel to discover that you can’t charge your electric scooter or medical equipment. It’s not fun to have to worry about something as boring as electricity when traveling as a wheelchair user, but knowing these facts can make the difference between being grounded at home and having a fully-charged and worry-free travel experience. When you bought or were provided with your powered mobility device, you may have been told in passing something about the batteries. You most likely have the technical details in your manual, but were more excited about how long the battery would last and how far it would take you. However, if you plan on flying with your power wheelchair or electric scooter, the specific type of batteries your device uses is critical information you need to provide to your airline. Here are the most common types of batteries used in mobility equipment. 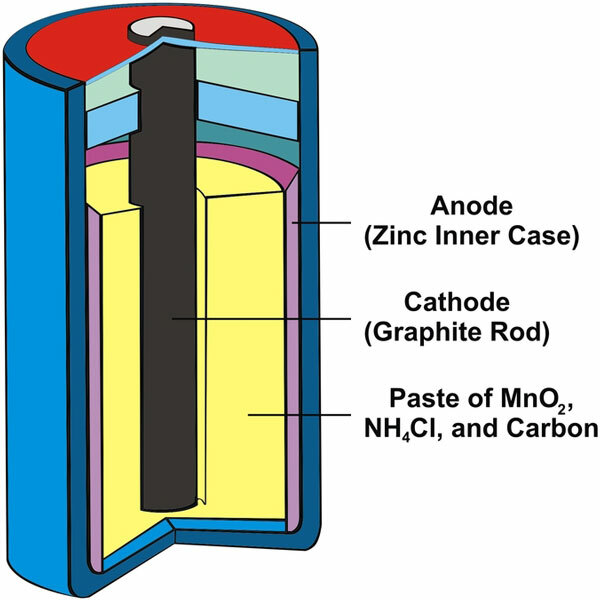 In a wet cell battery, the terminals are connected with the load causing a chemical reaction between electrolyte, lead, and lead oxide.A wet cell battery dies quicker under hot conditions, since the heat makes the plates either gain or lose material and reduces the water from the electrolyte solution. Also, excessive vibration, prolonged use of the battery and overcharging can result in quicker loss of battery. Most wet-cell batteries available today are sealed so nobody making use of battery is exposed to the very dangerous lead and sulfuric acid. Then again, when in active form, the electrolyte solution present in the battery produces gasses which are highly combustible. Thus, as a general rule, all the manufacturers use labels that warn the consumers about the dangers that a battery acid and gasses. A dry cell contains a paste of immobilized electrolyte, with just the right amount of dampness in it to permit the current to flow seamlessly. 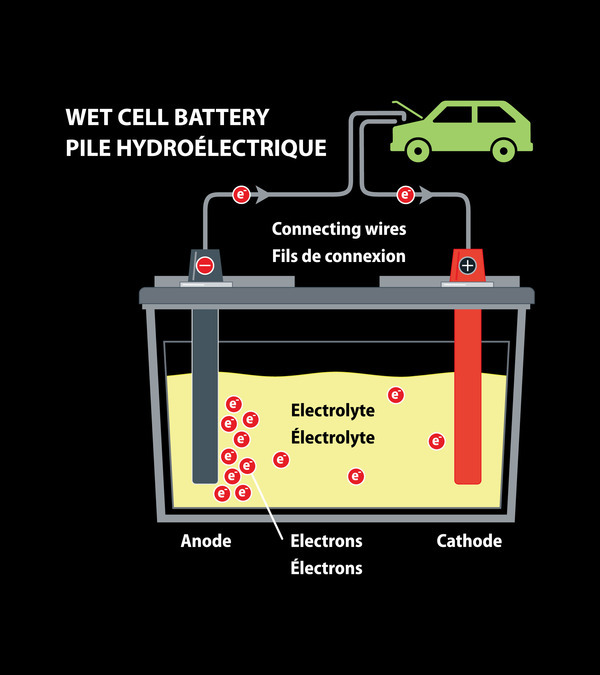 In contrast to batteries containing a wet cell, a dry cell can work without spilling since it does not hold free fluid. This makes dry cell batteries the best for use in almost all portable equipment. An AA battery is a dry cell battery that is being utilized in various electronic gadgets. There are many sorts of dry cell batteries available across the globe, using different combination of metals and other chemicals. A gel battery design is typically a modification of the standard lead-acid automotive or marine battery. A gelling agent is added to the electrolyte to reduce movement inside the battery case. Many gel batteries also use one-way valves in place of open vents, which help the normal internal gasses to recombine back into water in the battery, reducing gassing. A lithium-ion battery is an advanced battery technology that uses lithium ions as a key component of its electrochemistry. During a discharge cycle, lithium atoms in the anode are ionized and separated from their electrons. The lithium ions move from the anode and pass through the electrolyte until they reach the cathode, where they recombine with their electrons and electrically neutralize. In part because of lithium’s small size (third only to hydrogen and helium), li-ion batteries are capable of having a very high voltage and charge storage per unit mass and unit volume. However, they are extremely sensitive to high temperatures. 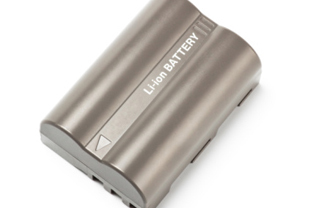 Heat causes lithium-ion battery packs to degrade much faster than they normally would. There is also a small chance that, if a lithium-ion battery pack fails, it will burst into flame. To determine watt hours (Wh), multiply the volts (V) by the ampere hours (Ah). Example: A 12-volt battery rated to 8 Amp hours is rated at 96 watt hours (12 x 8 = 96). For milliamp hours (mAh), divide by 1000 (to get to Ah) and then multiply by the volts. 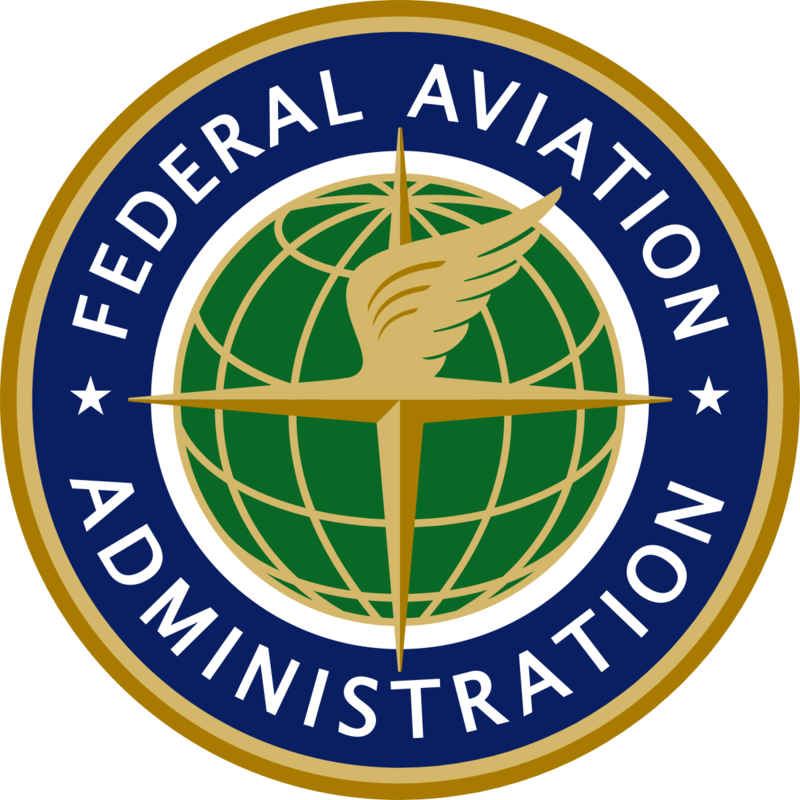 For flights departing the United States, the Federal Aviation Administration (FAA) makes the rules for flying with batteries. According to the FAA, with airline approval, devices can contain larger lithium ion batteries (101-160 watt hours per battery), but spares of this size are limited to two batteries in carry-on baggage only. For a wheelchair or mobility device that does not have a protective housing for its lithium ion battery, battery size is limited to 300 watt hours (Wh) or 25 grams equivalent lithium content (ELC). One spare battery not exceeding 300 Wh or two spare batteries not exceeding 160 Wh (13.5 grams ELC) each may be carried in carry-on baggage. Lithium metal (non-rechargeable lithium) batteries are forbidden with these devices. Lithium ion batteries must be removed from this type of mobility device and battery terminals protected from short circuit. The lithium ion batteries must be carried in carry-on baggage only. The passenger must advise the airline of the battery location. The airline must notify the Pilot-in-command of the battery location in the cabin. Only non-spillable wet battery types are permitted, and are limited to 12 volts and 100 watt hours per battery. These batteries must be the absorbed electrolyte type (gel cells, AGM, etc.) that meet the requirements of 49 CFR 173.159a(d); i.e., no electrolyte will flow from a cracked battery case. Batteries must be in strong outer packagings or installed in equipment. Passengers are also limited to two (2) spare (uninstalled) batteries. Spare batteries’ terminals must be protected (non-conductive caps, tape, etc.) within the outer packaging. Batteries and outer packaging must be marked “nonspillable” or “nonspillable battery.” There is a two-spare limit on non-spillable batteries. There are no quantity limits for dry cell batteries. However, they must be protected from damage. Battery terminals (usually the ends) must be protected from short circuit (i.e., the terminals must not come in contact with other metal). Methods include: leaving the batteries in their retail packaging, covering battery terminals with tape, using a battery case, using a battery sleeve/pocket in a camera bag, or putting them snugly in a plastic bag or protective pouch. The European Aviation Safety Agency determines the rules for flying with power wheelchair and scooter batteries from European Union airports. Their regulations and restrictions are the same as those of the FAA. However, each airline has different requirements for documentation. Make sure you contact your airline at the time of reservation to determine what, if any, documentation you need to provide with regards to your batteries. Electrical current ratings vary from region to region around the world, and range from 100V (volts) to 240V. The two most common currents are 110V and 220V, with the former most common in North America and the latter in Europe, Asia, and Africa. When you travel to another country, you need to know the voltage rating of all your electrical chargers. If you try to connect a device that’s rated for 110V into an outlet with a 220V current, you’ll fry the device and possibly cause an electrical fire or short. The good news is that chargers for smaller electrical devices (cell phones, tablets, laptops, etc.) have a variable voltage rating, meaning they can be used in outlets that carry the range of voltage on their labels (usually from 100V-240V). If this is the case, then all you need is a plug adapter, which will allow you to plug your cable prongs into one end and select the correctly shaped prongs on the adapter for insertion into the outlet. If you don’t have a variable voltage charger for your power wheelchair, electric scooter, or portable medical equipment, you will need a voltage converter in addition to a plug adapter. Converters are sometimes heavy and more expensive than adapters, but they do the job of converting the electricity flow from one voltage level to another. It may seem like yet another annoyance or burden to have to research battery power, electrical flows, and outlet shapes before you travel. But rest assured that by doing so, you’ll be saving yourself a whole lot of trouble, danger, and possibly your very departure. Are you ready for your next wheelchair accessible adventure? 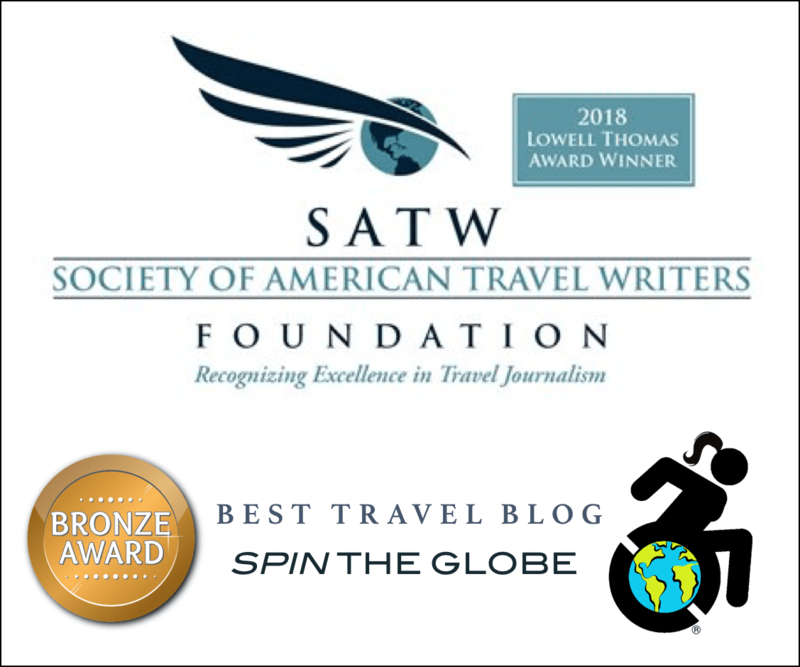 Contact me at Spin the Globe/Travel so I can help you get your planning started! Please note that some of the links above are affiliate links, and at no additional cost to you, I will earn a commission if you decide to make a purchase after clicking through the link. 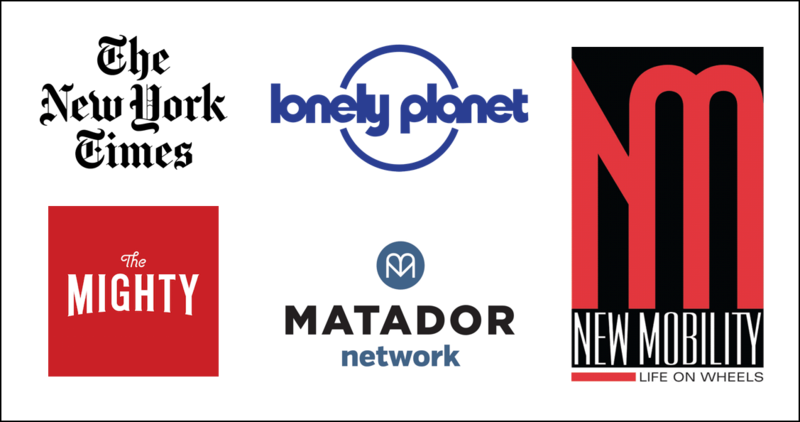 Please understand that I have experienced all of these companies, and I recommend them because they are helpful and useful, not because of the small commissions I make if you decide to buy something through my links. Please do not spend any money on these products unless you feel you need them or that they will help you achieve your goals.